It's in the nature of an organization to want to spin information, but in reality, covering up painful truths can have negative consequences. For the best organizations, it is clear that the future is all about transparency. Businesses and organizations can only win by showing they have integrity. 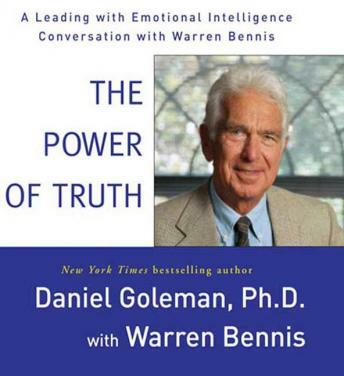 The good news, according to Bennis and Goleman, is that organizations can change, they can choose truth over spin-as long as their leaders have the emotional intelligence to create transparency as a core value and an ultimate goal. Every organization, from small business to large, private and public, can benefit from the lessons and ideas in The Power of Truth.